As Palestras do Pe. Rufus - The Fr. Rufus' Preachings: 101 What is Prayer? What does St. Paul mean when he tells the Christians of Thessalonika, "Pray constantly," or "Never stop praying," or "Pray without ceasing"? We need to answer the more basic question: What then did 'praying' mean for St. Paul? To me, as I am sure it was for Paul, prayer is falling in love with Jesus, constantly and even continuously or, as the hymn says so pointedly, over and over again - for the simple reason that Jesus has become the most important person in my life. But what does this mean or entail in practice? When a woman, even more than a man, is in love, she will want to speak to her beloved for hours, even on the telephone, not necessarily 'sense' but often just 'sweet nonsense'; she will yearn not so much to listen to what he has to say, as to just hear his voice; she will crave not really to do something grandiose for him but just to look at him, speechless with admiration and spellbound with love. This threefold desire or longing holds good even in our relationship with the Lord. First of all, praying is speaking to God, true - but from the abundance of one's heart, i.e., with lips of love. For if there was a time when prayer for most of us meant merely or mainly 'saying prayers', we now know that prayer is more than that. It is speaking to God, and is therefore vocal prayer, but from the abundance of the heart - and that makes all the difference. For if there is no abundance - then one will just be saying prayers by memory or routine, but not really praying. As the saying goes, 'From the abundance of the heart the mouth speaks' (Mt 12:34), and as Pascal, the famous French philosopher, observed, 'The heart has reasons which the mind knows not'. And that abundance comes from the Spirit of his Son, that God has sent into our hearts, that makes us call out to him 'Abba! Father!' (Gal 4:6). For, as St. Paul explains further, "When in our weakness we don't know what to pray for, the Spirit helps us and even prays for us in ways that could never be put into words" (Rom 8:26). That is why St. Augustine exclaims, in his commentary of the Psalm, 'Sing a new Song', that prayer is jubilation - speaking to God with acclamations of praise, as in the litany, and with songs of joy. That is why the 'Prayer of the Church' begins each morning with the invocation, 'Lord, open our lips and our mouth shall praise your name'. That is why 'Praying in Tongues' is a prayer specifically of the heart and not of the mind, so comparable in its motivation and expression to the amusing outpourings of one who has fallen in love and even to the delightful outbursts of the infant, who wants to speak, but cannot speak, and therefore 'speaks'. Secondly, praying is even more than speaking to God - it is listening to Him, in the silence and stillness of one's heart, i.e., with ears of love. If one were to have the good fortune to be granted an audience with the President of the country to get a big favor in some case, but would spend the entire allotted time just in talking and talking about the case, he would then realize, on being ushered out, that his petition would remained unanswered only because he did not give the President the necessary time to give, hopefully, his favourable answer granting him his request. That is exactly what often happens even in prayer. We spend so much time in just talking to the Lord, who does listen to us, but we rarely make time for him to speak back to us, by just being still and quiet and saying, even silently, "Speak, Lord. I am listening" (Ps 46:10; 1Sam 3:10). I do believe that whenever we come to the Lord in prayer, he always wants to speak to us in the depths of our heart, in order to teach us to be holy, to guide, help and encourage us to live well, to train us to do good and to correct us. This could happen through a Scripture verse that one has just read or has come to one's mind, 'out of the blue', or a reflection from the Sunday homily, or a casual remark made by a prayer partner, or just an inner inspiration (2Tim 3:16). Like Mary we then need to receive that word like a seed sown in a grateful and generous heart, treasuring it and pondering over it, and then allowing it to not just ring in our ears or strike a chord, but to even cut into our hearts and bear fruit in our lives (Lk 2:19). And thirdly, praying is even more than listening to the Lord - it is looking at Jesus, with the love of one's heart, i.e., with eyes of love. For there comes a moment in my prayer time, when I feel that I have spoken all that I wanted to say to God - and I have nothing more to say, and have listened to all that the Lord wanted me to hear - and there is nothing more to receive. It does not mean that my prayer time has successfully ended, but rather its most important part has now begun: a time of prayerful silence, profound adoration and deep contemplation, just looking at the Lord face to face, all lost in wonder, speechless with love and gratitude, as I experience my utter nothingness and God's amazing fullness, and can declare in the words of the well known hymn, and mean it, 'He is my Everything'. This is the time when God does not just listen to me or speak to me but comes down into the cave of my heart to make his dwelling place there. St. John Vianney would notice a peasant come to his small church everyday and sit on the last bench, apparently doing nothing. One day he went up to him and asked him, "My good fellow, what are you doing here? Are you praying? You seem to be doing nothing." And pointing to the Blessed Sacrament, he said in reply, "I look at him - and he looks at me." This is the heart of prayer - at its best and at its deepest: No longer speaking, no longer even listening, but just looking at Jesus, my Lord and my all - with love - like an infant who cannot speak and does not understand, but will just smile at its mother with love and joy, which will make the mother in turn burst into a beautiful smile of love and joy. The sudden and unexpected death of my sister on 18th January was a great shock to the whole family, but obviously to her two children, and above all to her husband who was so dependent on and so attached to her. But I gauged the intensity of this relationship only whenever I dropped in to see how he was doing, and would see him, as I peeped through the door unawares, always sitting before the large photo of his wife in a deep contemplative silence, with a large candle burning brightly day and night. That is a faint picture of what prayer really is and should be: making oneself present to Jesus, knowing that he is always present and already waiting for me, wanting us not so much to do anything for him as to allow him to do everything for us (Mt 28:20; Jn 14:23). Just as the windows of Daniel's upper room where he prayed and praised God on his knees faced towards Jerusalem (Dan 6:10), the windows of my study on the first floor of the parish presbytery face the windows of the Blessed Sacrament Chapel directly across the garden. And so even in the midst of my parish work and personal study I have the unexpected privilege of facing and looking at Jesus in the brightly lit monstrance from early morning to late night, and in a way being forced through no merit of mine to 'pray constantly', thus reminding me of how Jesus himself prayed on every occasion, in every difficult situation and in lonely places (Mt 14:23; 26:36,39; Mk 1:35; Lk 6:12;9:28;22:44; Jn 17:1), and how he taught about the need to pray continually and never lose heart (Lk 18:1). To thus 'pray always' is in the mind of St. Paul the will of God in Christ Jesus for his Christians of Thessalonika: "This is what God wants you to do." This is also our wish for you, dear readers, as is also ours to you his assurance to them that they will thus "always be joyful in the Lord" (1 Thes 5:16-18). O que São Paulo quer dizer quando ele diz aos cristãos de Tessalônica: "Orai sem cessar", ou "Nunca pare de orar"? Precisamos responder à pergunta mais básica: O que então 'rezar' significa para São Paulo? Para mim, como eu tenho certeza que foi para São Paulo, a oração está caindo no amor com Jesus, constantemente e até mesmo de forma contínua, ou, como diz o hino tão incisivamente, uma e outra vez - pela simples razão de que Jesus tornou-se a pessoa mais importante na minha vida. Mas o que isso significa ou implica na prática? Quando uma mulher, ainda mais do que um homem está apaixonado, ela vai querer falar com seu amado durante horas, mesmo ao telefone, não necessariamente "sentido", mas muitas vezes apenas "doce absurdo, ela vai ansiar, não tanto para ouvir o que ele tem a dizer, mas para apenas ouvir a sua voz, ela não almeja realmente fazer algo grandioso para ele, mas só de olhar para ele, fala com admiração e encantado com o amor". Este tríplice desejo ou anseio é válido mesmo em nosso relacionamento com o Senhor. Primeiro de tudo, orar é falar com Deus, é verdade - mas a partir da abundância do coração de alguém, ou seja, com lábios de amor. Porque, se houve um tempo em que a oração para a maioria de nós significava apenas ou principalmente 'orações', agora sabemos que a oração é mais do que isso. Ele está falando com Deus, e é, portanto, a oração vocal, mas a partir da abundância do coração - e isso faz toda a diferença. Porque, se não houver abundância -, então um vai ser apenas rezar de memória ou rotineiramente, mas não se está realmente orando. Como diz o ditado: "Da abundância do coração fala a boca" (Mt 12:34), e, como Pascal, o famoso filósofo francês, observou, "O coração tem razões que a mente não sabe". E que a abundância vem do Espírito de seu Filho, que Deus enviou aos nossos corações, e nos faz chamá-lo 'Abba! Papai!' (Gl 4:6). Pois, como São Paulo explica ainda: "Quando na nossa fraqueza, não sabemos o que orar, o Espírito nos ajuda e até mesmo intercede por nós de maneiras que nunca poderão ser postas em palavras" ( Rm 8:26). É por isso que Santo Agostinho exclama, em seu comentário do Salmo, "Cante uma nova canção", que a oração é alegria - falar com Deus com aclamações de louvor, como a ladainha, e com cânticos de alegria. É por isso que a "oração da Igreja" começa todas as manhãs com a invocação: "Senhor, abre os nossos lábios e a nossa boca deve louvar o seu nome". É por isso que "orar em línguas" é uma oração especificamente do coração e não da mente, de modo comparável, em sua motivação e expressão para os desabafos alegres de quem se apaixonou e até mesmo para as explosões deliciosas da criança, que quer falar, mas não pode falar, e, portanto, 'fala'. Em segundo lugar, oração é ainda mais do que falar com Deus - é ouvi-lo, no silêncio e na quietude do coração da pessoa, ou seja, com os ouvidos do amor. Se alguém tiver a sorte de ser concedida uma audiência com o presidente do país para obter um grande favor em alguns casos, mas iria gastar todo o tempo disponível apenas no falar e falar sobre o caso, ele, então, perceber, será conduzido para fora, a sua petição ficará sem resposta só porque ele não deu o Presidente o tempo necessário para dar a sua resposta favorável, concedendo-lhe o pedido. Isso é exatamente o que acontece muitas vezes até mesmo em oração. Nós gastamos muito tempo em apenas conversando com o Senhor, que não nos ouve, mas raramente damos tempo para ele falar de volta para nós, apenas por ser calmo e quieto e dizendo que, mesmo em silêncio: "Fala, Senhor. Estou ouvindo" (Sl 46:10; 1Sm 3:10). Eu acredito que sempre que se vêm ao Senhor, em oração, ele sempre quer nos falar nas profundezas de nosso coração, a fim de ensinar-nos a ser Santos, para orientar, ajudar e encorajar-nos a viver bem, para nos treinar a fazer o bem e para nos corrigir. Isso pode acontecer através de um versículo da Bíblia que se acaba de ler ou vem à mente, ou uma reflexão a partir da homilia Dominical, ou uma observação casual feita por um parceiro de oração, ou apenas uma inspiração interior ( 2Tm 3,16). Como Maria, nós então precisamos receber essa palavra como uma semente plantada em um coração agradecido e generoso, valorizando-o e pensando sobre isso, e, em seguida, permitindo-lhe não apenas tocar em nossos ouvidos, em nossos corações mas frutificar em nossas vidas (Lc 2:19). E em terceiro lugar, oração é ainda mais do que ouvir o Senhor - ele está olhando para Jesus, com o amor do coração de alguém, ou seja, com os olhos do amor. Porque chega um momento em meu tempo de oração, quando eu sinto que eu tenho falado tudo o que eu queria dizer a Deus - e não tenho mais nada a dizer, e ter escutado tudo o que o Senhor queria falar - e não há mais nada a receber. Isso não quer dizer que o meu tempo de oração terminou com sucesso, mas sim a sua parte mais importante já começou: Um tempo de silêncio orante, profunda adoração e contemplação profunda, só de olhar para o Senhor face a face, todos perdidos e maravilhados indizivelmente de amor e gratidão, como eu sinto a absoluta e surpreendente plenitude de Deus, e pode declarar nas palavras do hino bem conhecido, e dizer isso: “Ele é meu tudo". Este é o momento em que Deus não apenas me ouve ou fala comigo, mas interna-se no fundo do meu coração para fazer sua morada lá. São João Vianney – o patrono dos sacerdotes – iria notar um camponês vir à sua pequena igreja todos os dias e se sentar no último banco, aparentemente sem fazer nada. Um dia ele foi até ele e perguntou-lhe: "Meu bom amigo, o que você está fazendo aqui? Você está orando? Você parece não estar fazendo nada." E apontando para o Santíssimo Sacramento, ele respondeu: "Eu olho para ele -, E ele olha para mim" e este é o coração da oração - no seu melhor e no seu mais profundo: Não mais falando, não ouvindo, mas só de olhar para Jesus, meu Senhor e meu tudo - com amor - como uma criança que não pode falar e não entende, mas só vai sorrir para a sua mãe com amor e alegria, que fará com que a mãe, por sua vez, resplandeça com um belo sorriso de amor e de alegria. A morte súbita e inesperada de minha irmã no dia 18 de janeiro foi um grande choque para toda a família, mas, obviamente, para os seus dois filhos, e acima de tudo para o marido, que era tão dependente e tão ligado a ela. Mas eu avaliada a intensidade dessa relação só quando eu passei para ver como ele estava fazendo, e iria vê-lo, como se aproximou da porta de surpresa, sempre sentado diante da grande foto de sua esposa em um silêncio contemplativo profundo, com um grande vela acesa dia e noite brilhantemente. Essa é uma imagem tênue do que a oração realmente é e deve ser: Fazer-se presente para Jesus, sabendo que ele está sempre presente e já me esperando, querendo-nos não tanto para fazer qualquer coisa para ele, como para lhe permitir fazer tudo para nós ( Mt 28:20; Jo 14:23). Assim como as janelas do quarto superior de Daniel, onde ele rezou e louvou a Deus de joelhos em Jerusalém (Daniel 6:10), como as janelas do meu escritório no primeiro andar da paróquia, dá nas janelas da Capela do Santíssimo Sacramento em frente o jardim. E assim, mesmo no meio do meu trabalho paroquial e estudo pessoal, eu tenho o privilégio inesperado de encarar e olhar para Jesus no ostensório iluminado de manhã cedo até tarde da noite, e de uma forma que estou sendo forçado para "orar constantemente", lembrando-me, portanto, de como o próprio Jesus orou em cada ocasião, em todas as situações difíceis e em lugares solitários ( Mt 14:23, 26:36,39, Mc 01:35, Lc 6:12, 9:28, 22: 44; Jo 17:01), e como ele ensinou sobre a necessidade de orar sempre, sem jamais perder o coração (Lc 18:01). Assim, "orar sempre" está na mente de São Paulo a vontade de Deus em Cristo Jesus para os cristãos de Tessalônica: "Isso é o que Deus quer que você faça." 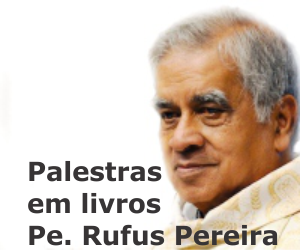 Este também é o nosso desejo para vocês, queridos leitores, como também é nós e para você a garantia de que eles serão, portanto, "sempre alegres no Senhor" ( 1 Ts 5:16-18).